Spring is in the air and with it comes a desire to renew and refresh ourselves, our lives, and our homes. What better time to get rid of old, needless stuff and make the home bright and cheery, after all – in the spring, usually there are plenty of redundant items accumulated over the year in every household and people are more likely to find the energy and motivation to deal with them. 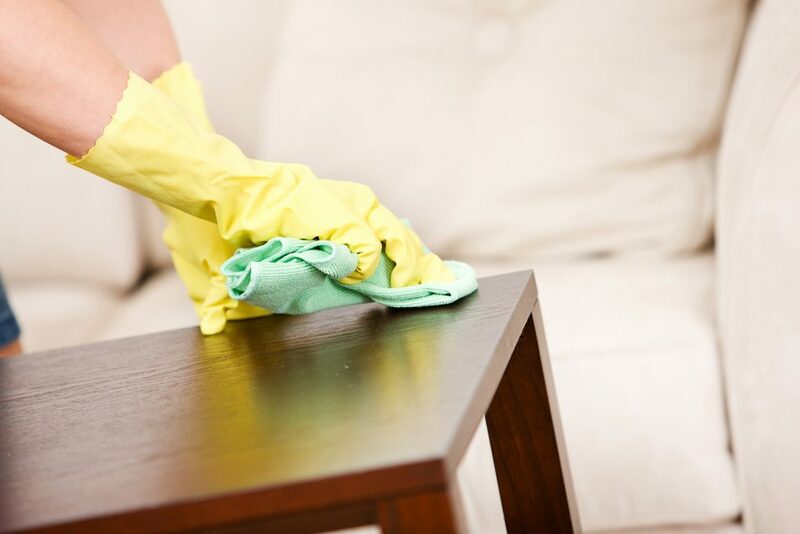 It’s the perfect time for sprucing up the home and starting with a clean slate – which turns spring cleaning into a prominent cleansing ritual that has both practical and symbolic meaning. There is, however, still another key benefit to spring cleaning – preventing house fires. 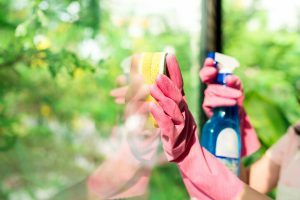 The annual cleaning ritual is meant to make the home tidier, fresher, and healthier – but if approached properly, it can result in a safer living environment as well. Removing clutter is the essence of spring cleaning – it feels so satisfying and liberating to get rid of the useless stuff that has accumulated in your home during the long winter months and give your living space a breath of fresh air. But that’s not all – decluttering can help reduce the risk of fire in the home as well. The fewer items there are around, the smaller the risk of something catching fire and/or of flames spreading quickly should a fire occur. • Remove piles of trash and debris from outdoor areas around your home. 1) Make sure all the air ducts and vent pipes in your home are clean and not restricted in any way. 2) Make sure all appliances are properly connected and grounded. 3) Check for water leaks near electrical appliances. • Keep flammable items (wooden utensils, food packaging, towels, oven mitts, etc.) away from the stove. • Keep the area around your dryer clear of flammable items like cardboard boxes, clothing, and cleaning supplies. 6) Inspect the furnace filter to see if it needs to be cleaned or replaced. Good to remember: It is a good idea to have your chimney and fireplace professionally cleaned after the end of the wood-burning season. 6. Keep any flammable materials at least three feet away from the fireplace. • Be careful not to overload the outlets – consider using power strips equipped with internal overload protection (they will shut off when overloaded, preventing potential problems). Good to know: Battery posts that come in contact with metal can create enough heat to start a fire – so, batteries stored in drawers and surrounded by metal objects (paper clips, coins, etc.) and flammable items increase the risk of fire in the home. It is, therefore, recommendable to keep batteries in their original packaging until it’s time to use them. • Gently vacuum the smoke detectors to remove the dust that has accumulated on them during the winter and help prevent false alarms. • Properly dispose of any cleaning supplies and chemicals that are expired or leaking. Now that you know to prevent house fires with spring cleaning, the fire risk in your home will be much lower and you’ll be able to enjoy the warm season without worrying about fire safety. If the worst happens, however, and your home catches on fire despite your best efforts, you may still be able to save most of your property – just make sure you call experienced fire restoration professionals as soon as the fire is put out. The experts will be able to clean the affected household items and materials before they get damaged by the smoke, soot, and other corrosive byproducts of the fire and salvage anything that has not burned. At ServiceMaster by Restoration Contractors, we have the professional knowledge and specialized equipment to handle any fire damage scenario in commercial or residential settings. Our quality fire restoration services include fire and smoke damage cleanup, fire damage repair, and odor removal. Our experienced and highly trained technicians can properly clean and restore household items affected by soot and other corrosive byproducts of the fire, as well as repair major damage from the fire itself. We can also remove lingering smoke odors with our advanced deodorization process and restore the excellent condition of your home. If your home or building in Fort Wayne, IN or the surrounding areas in northeastern Indiana is affected by a fire, be sure to contact ServiceMaster by Restoration Contractors without delay – our skillful technicians will immediately step up to limit the secondary damage of the fire and will effectively repair and restore your property using advanced cleaning products and equipment. We are available 24/7 at (260) 420-1502 to respond to fire damage emergencies in the northeastern Indiana area.